Bottle-2-Pen (B2P) is the world’s first pen made from recycled bottles. Approximately 2.5 million plastic bottles enter landfills every hour in the United States, and comprise close to 50% of all recyclable waste. 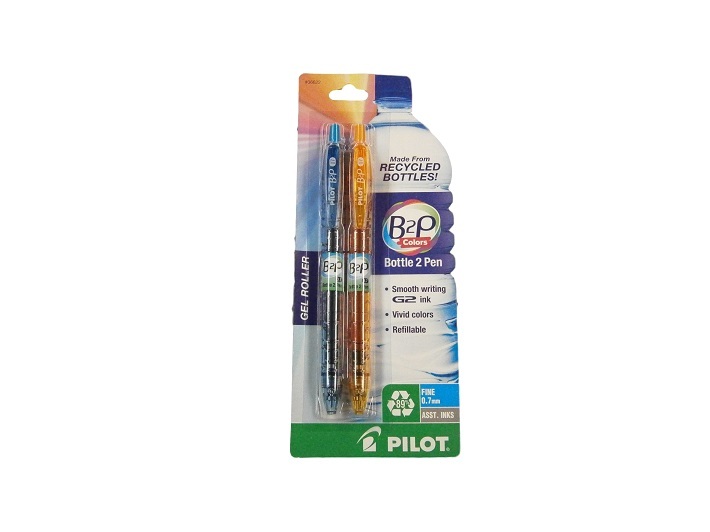 Pilot manufactures B2P gel ink pens from 89% post-consumer recycled plastic bottles. Pilot’s B2P pens write smoothly, have vibrant inks are and are 100% refillable.